The Training Area of Sinapsi combines technical expertise with a thorough knowledge of the market. Years of experience in the world of home and building automation, smart metering and in the research and development of cutting-edge solutions, have enabled us to develop integrated, customized, modeled on customer needs solutions. 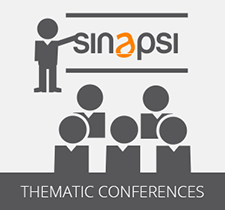 Based on these analytical and research skills, Sinapsi has built its training area by promoting courses with highly innovative content perfected by effective and stimulating practical applications. 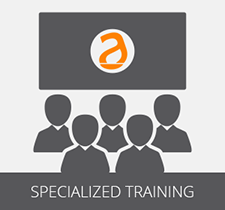 Training Area teachers are qualified professionals with years of practical experience. Sinapsi is KNX Training Center: participants in our courses become qualified KNX partners and they take advantage of a number of benefits associated with the use of this prestigious brand. 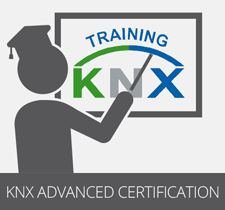 KNX Teachers courses also are all internationally certified KNX Tutor. The course aims to explain in detail the basic principles of the KNX technology with several practical examples of application. The theory is alternated with practical exercises with updated tools provided by our Training Center. The course details and provides new learning tools with the latest generation of building automation devices provided in the official program of the KNX association. 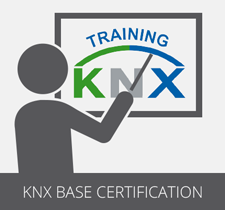 Prerequisite for this course: passing the KNX basic course. The course details all the Sinapsi solutions for the metering of energy and resources of a building, in compliance with UNI 10200:2015. The course offers solutions and applications to meter simultaneously different energy sources with efficiency and simplicity. Conferences that deal with the major topics of general interest in the areas of automation, monitoring and control, with special reference to renewable energy, smart metering and home & building automation.